What alphabet do you use? The medical abbreviations that are common in the lives of a person with a chronic illness? 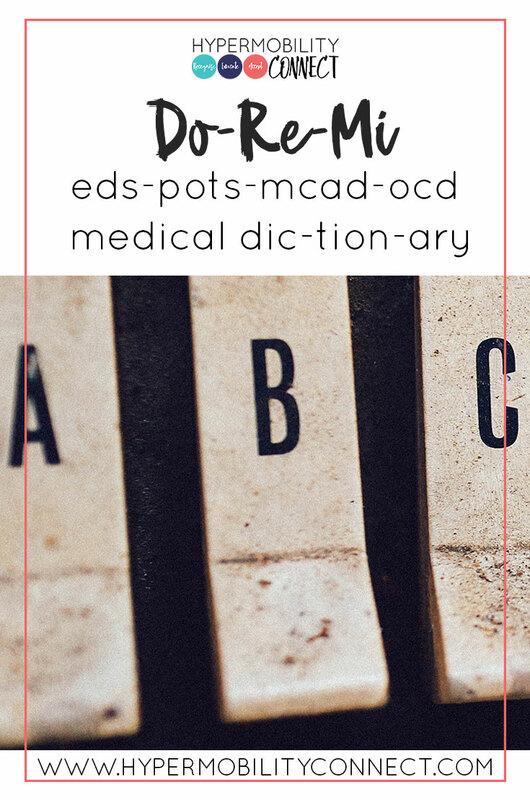 You know, the do-re-mi-eds-pots-mcad-ocd medical dictionary? Do they define you or are they just a background alphabet to your life? When you’re young, you go to school and learn how to spell your name. No one in your classroom has the same name as you, or even if there is they might spell it a different way. But your name is yours. When you add a chronic illness, it becomes more difficult. 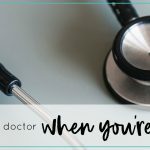 By the time I started getting sick, I was already struggling with mental health issues. At that stage, I had mental health “initials” in my head, like “OCD”. 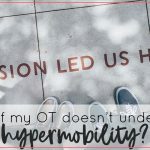 As the years passed my mental health was becoming more stable, but every doctor’s appointment, every ER, I would hear, “Go get a CVC, CMP.” “We’re going to get an x-ray, CT, MRI.” Or all the above. Then I realised that as ‘zebras’ we have our own alphabet. Talking about my illnesses includes a different alphabet. When people ask about my condition, I usually start with EDS, which people usually think is erectile dysfunction – “ah no, for starters I’m female, and no I don’t need the little blue pill”. Then I explain what Ehlers-Danlos Syndrome is. A common question I get asked is why I’m in a wheelchair; part of the reasoning is POTS. Again, I have to explain I don’t smoke Pot. This requires explaining as well that it stands for Postural Orthostatic Tachycardia Syndrome, and usually what that actually means. I would always say POTS, EDS, MCAD and GP. When you’re first getting used to it, our ABC’s can be overwhelming. As time has gone on, I have learned that each letter has a different meaning to me. After a while, it can become defining. Why am I getting defined by these letters? Are these letters all I am? Is that all I identify as? Is that all that people see me as, or is that all I see in myself? I really had to take a step back and think, “OK this is not all I am. I am not this medical alphabet, one used by doctors and medical professionals, but also by this community who attempts to be supportive or attempts to get answers”. These acronyms, these letters, left me feeling more defined, more confused and stuck on where to go. Then I closed my eyes and began. I looked back and started re-learning my alphabet, learning how to spell my name. I remember I was the only Brittany in my class. I remember as I sit there, “that’s it! I’m Brittany”. Those letters are the most important letters that describe who I am, that define what I am. Those letters are the ones that I read every morning and before I sleep at night. I’m not my medical letters; I’m not a medical alphabet. I merely have a medical dictionary living inside me. I am Brittany, B R I T T A N Y, Brittany. What defines you? Who are you? Let us know in the comments! 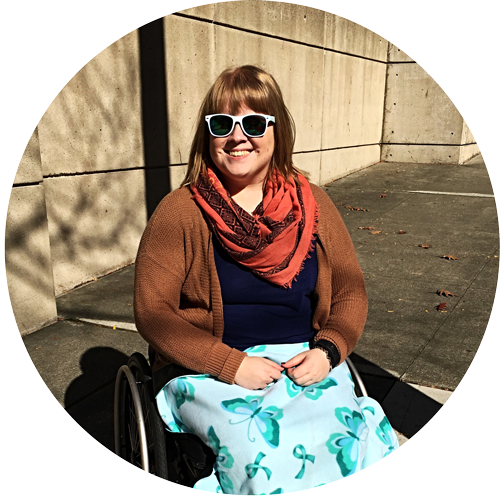 Brittany is a contributer who experiences several chronic illneses that are comorbid to EDS, but she uses her hardships and struggles to help support others in her counseling private practice as a licensed therapist. She is able to provide empathy, understanding, and can be the support for others throughout the community as a mentor. Jasmine is her service dog who loves working, pupachinos, and tennis balls. Zebra? Why not the giraffe?